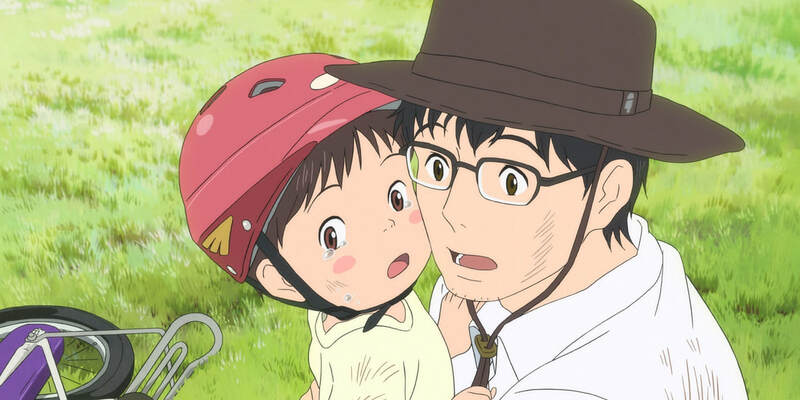 THE STORY - A young boy named Kun feels forgotten by his family when his little sister Mirai arrives. Running away from home, Kun stumbles upon a magical garden that serves as a time-traveling gateway where he encounters his mother as a little girl and has a series of adventures with his baby sister who is all grown up, opening a new perspective on his world. ​​​When it comes to the subject of anime, I freely admit to not being the most fluent of experts. I do not have a strong aversion to this subgenre, but the circles of absolute devotion to this particular craft have often eluded me. Even the most well-known purveyors, arguably Studio Ghibli, have large sections of their filmography that remain unseen by me. However, I do very much appreciate the storytelling on display in these films, particularly ones that focus on strong character work. Much of that is present here in "Mirai," a finely crafted film that is far from perfect but is still quite engaging. The film tells the story of a precocious young boy named Kun. He is fiery and energetic, but the limits of his strength are about to be challenged with the arrival of a baby sister into the family, named Mirai. At this point, Kun must wrestle with the constant anxieties and insecurities that come with changing from an only child to an older sibling. Along the way, he imagines incredible fantasy scenarios that help guide him through these difficult times and aid in his journey to finally conquer the inner turmoil he’s suffering from. As I have already admitted to anime not being a particularly strong point of knowledge for me, it does mean that most of director Mamoru Hosoda’s previous films I have not seen. The only one that I have seen is Summer Wars, a vibrantly animated film that took a keen look at relationships amid the age of the internet. Much of those fantastical elements are present here, as the reality slips that Kun goes through during his emotional moments are beautifully rendered. Like Summer Wars, there is also a nice mix of both traditional hand-drawn animation and computer-generated effects, and it helps to highlight the great divide in the story’s narrative structure when it veers into overt fantasy. At the same time, the animation’s beauty is not simply employed for aesthetic quality. It is effectively utilized to comment on the delicate psyche of a child’s mind. The film manages to illustrate, through its many fantasy breaks from the real world, how this young boy’s anxieties manifest and the process by which he must come to term with these ideas. The notion of seeing an only child struggle with the waning attention from his parents is not a new concept, but the unique exploration that Kun goes through, by interacting with past and present versions of his family, helps to emphasize a new context for this journey. It connects this story to a larger theme of family that finds avenues to be quite insightful and interesting. However, it must be said that even when the film is fascinating to watch, it isn’t without its flaws. By far the biggest one that afflicts the film is an issue of pacing. There are many points when one is enraptured by the story, but often times there is a start-and-stop quality to the narrative and it's quite frustrating as it slows the momentum of the film. As such, there are many moments where it begins to drag, and the wish for a tighter story is severely needed. In addition, another detriment to the film is the main character himself. While it is understandable that Kun behaves like a typical boy acting out his frustrations, it must be said that his actions can be quite grating and annoying. Even as you try to empathize with this character, it is difficult when childhood animosity is a driving character trait. Some may tolerate this character more than others, but I personally struggled to connect. Even with the film’s detriments, there is still plenty to enjoy here. The dazzling animation does lift up an endearing story about finding the core connectivity one must find in family, and witnessing that journey in such a unique way was quite enjoyable. Even when the story drags and some characters aren’t that inviting, the thematic exploration of the story is still captivating. The English language dubbed cast does a fine job as well, with performers like John Cho and Rebecca Hall, and Masakatsu Takagi’s score is also quite beautiful. I have certainly seen stronger animated films this year, but this one is worthy to be sought out. I would say that for the non-anime aficionados out there as well.